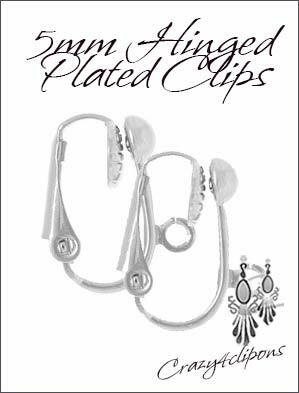 Features: These Clip-on earring findings have a hinged back that holds the earring against a non-pierced ear. They have loops at the bottom are ready for you to attach beads and charms. They are made of brass plated with a coat of silver. & Note: they may contain nickel. Note: These clips are hinged. To provide maximum comfort we recommend the use of cushion pads.